With the recent news reports of data security issues at the 2nd largest processor, isn’t it time dentists speak with an agent of First Data? Small businesses are the target of more than 80% of data theft crimes. Think your practice is immune to a data breach? THINK AGAIN! The economic impact of a data breach can be devastating on your business! There’s a reason why you don’t see First Data in the news regarding data breaches, because they haven’t had one in their entire 40 year history.. With it’s industry leading security solution, TransArmor, customers aren’t just protected with plain encryption, BUT encryption AND tokenization, which renders the efforts of data thieves useless against sensitive patient information! This 1-2 punch protects sensitive patient information. First Data’s TransArmor solution protects payment card data the moment it enters the merchant environment with encryption and substitutes a risk-free token number for use in any post-authorization business processes. In the event of a compromise, there is no sensitive data for attackers to steal, thus protecting sensitive patient info, and the dental practice from exposure! The TransArmor solution preserves the value of cardholder data for merchants while eliminating its value for cyber criminals and risk for merchants. Because it’s a service-based solution, no new hardware, no changes to back-end systems and no employee training are required. The solution is integrated with First Data terminals and will soon be available on a wide variety of other terminals and point-of-sale systems. The TransArmor solution combined with EMV chip-based technologies is the perfect combination of data theft protection and fraud prevention technologies. EMV Chip based credit cards are much harder to hack into compared with traditional magnetic strip credit cards. Limited warranty— An extra layer of security for merchants. First Data offers a limited warranty that if the token number returned to the merchant is stolen, it cannot be used fraudulently by an unauthorized party. See the TransArmor terms and conditions for full details. As an agent of First Data, I take great pride not just for the competitive rates I’m able to offer, but also the value added services like TransArmor data protection, and gift/loyalty cards that have helped businesses increase sales by an average of 25%. When I first looked into providing customers with ATM & credit card processing 4 years ago, I had been recruited by Elavon, TransFirst, TSYS, and RBS WorldPay, and I chose First Data because of their strength in many areas. Security and customer service being the biggest reasons for me, and they have both… I may not earn high commissions with them, but knowing that I provide the best products and customer service to my merchants, makes my job that much easier. I’m able to help business owners cut costs, protect their data, AND increase their revenues! Who else can say that? First Data handles 6o% of all card transactions worldwide, including all of the processing for businesses like Wal-mart, McDonalds, and Starbucks. There’s a reason why large, successful chains use First Data processing! More and more doctors and dental practices have signed on with me because of the TransArmor data protection i can provide them. Sure, everyone wants to shop for a better rate too, but what good is a better rate, if your data can be easily breached? We provide all of the above, but my point is security is so important these days, that rate becomes a secondary part of the conversation it seems, and for good reason. The dentist who is serious about data protection should contact they’re current processor to find out what they’re doing today to protect data! Prevent data theft against your patient’s card information with TransArmor! We provide it to you at NO COST, along with wholesale credit card processing rates as low as 1.36% plus .13¢ per swiped card, AND a new SECURITY COMPLIANT credit card terminal, ALSO at NO COST! CALL (888) RX MERCHANT or visit us at: www.MerchantServicesAmerica.com! This post was provided by Solon Zafiropoulos of Merchant Services America, an independent payment processing firm that assists merchants with payment security, credit card processing, gift card, cash advance, internet marketing, and other value added services. He can be reached at (888) 796-3724 x701. Or, email him at solon@merchantservicesamerica.com. 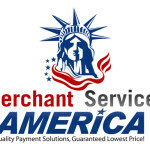 Merchant Services America is a leading credit card processing provider offering quality payment solutions and value added services to merchants all across the US! Here is an excellent resource on general data protection for the computer network of a dental practice! No problem Pat! Thanks for the feedback. We have our ad in the Mass Dental online. I simply want to tell you that I am just all new to blogs and absolutely enjoyed you’re web site. More than likely I’m planning to bookmark your website . You absolutely come with really good posts. With thanks for sharing with us your web page. Over the last 12 years we’ve seen increased competition online in the dental industry. Dental practices have better websites than ever before. More Internet Marketing firms know how to rank these websites, some dentists even have 3 and 4 websites. Viral marketing through social media is the emerging market where you will see lots of upside. Need help with viral marketing then just contact us at dentist video marketing. You may want to speak with the people over at http://www.patientcharge.com. They are a fast growing player in the medical payment processing arena. Great work! This is the kind of information that is supposed to be shared across the web.